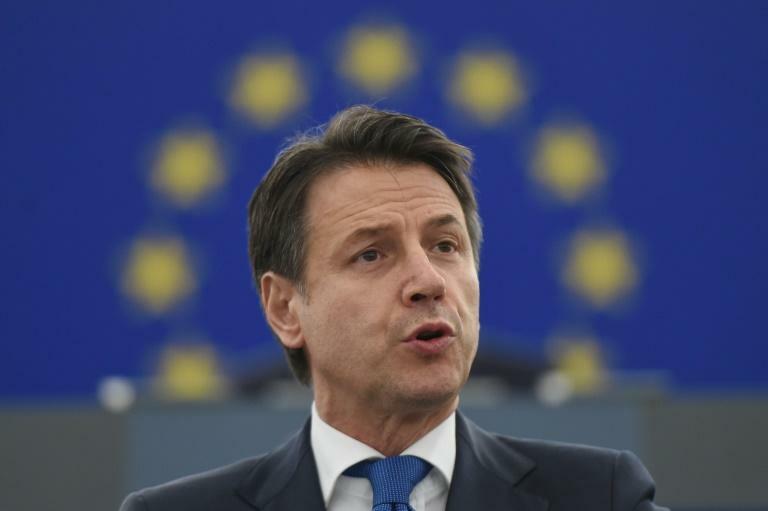 Italian Prime Minister Giuseppe Conte on Tuesday urged European lawmakers to show a united front on migration, with the issue set to dominate the run-up to European elections in May. With Italy as a first point of entry to Europe for tens of thousands of migrants in recent years, Conte noted immigration was a bone of contention for voters on a continent seized by rising populism. That policy has earned Rome trenchant criticism and Conte drew more of the same over his country's spending plans and high public deficit, which led to a standoff with Brussels last year prior to the policy being watered down. "Italy suffered badly from austerity," said Belgian Green lawmaker Philippe Lamberts, but "rather than seek to form alliances … your government chose confrontations which were theatrical and sterile," he chided Conte. Conte meanwhile defended a recent meeting in France between deputy prime minister Luigi di Maio and French anti-government "yellow vest" protestors which caused a rumpus between Rome and Paris, saying the visit was made merely as a "party leader."